Phylogenetic studies tell us how the evolution of Indian geckos was affected by the same geological event that gave birth to the Himalayas. 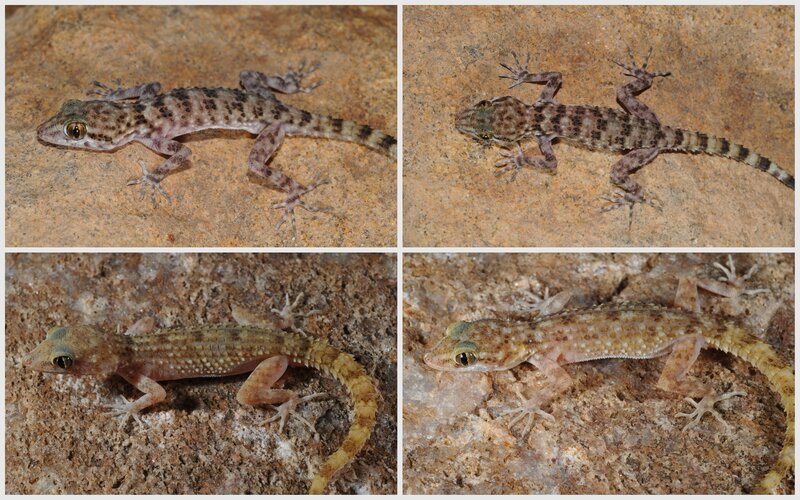 Researchers from the Indian Institute of Science (IISc), Bangalore and Villanova University, Pennsylvania, have recently uncovered how the evolution of geckos in the Indian subcontinent was influenced by a significant geological event that occurred about 55 million years ago—the collision of the Indian tectonic plate with Eurasia. Besides uniting the two continents, this head-on collision resulted in other dramatic changes: the birth of the Himalayas, the onset of severe summers and the strengthening of the monsoon. These changes have, in turn, altered not just the composition of the subcontinent’s plants and animals due to migration, but have also affected the way in which they have since evolved. Signatures of evolutionary changes are carried by genes, which accumulate mutations as they are passed down from generation to generation. These signatures can be deciphered by sequencing genes, which, in turn, can be used to construct trees—phylogenetic trees—that reflect the evolutionary history of a group of species; phylogenetics may also provide clues about when and where species diverged from each other. “People have speculated about how this collision may have affected animals, but now, with phylogenetics, we can study how specific groups of animals were affected by certain specific events”, argues Praveen Karanth, whose lab at IISc led the study. The results show a significant role for post-collision events for the evolution of these geckos. The ancestor of the Cyrtodactylus geckos found in India moved from Eurasia when the Himalayas were just beginning to rise. The descendents of this species underwent a period of rapid diversification in the next few million years to form genetically distinct sub-groups, a process more pronounced in northeastern India. These speciation events may have been driven by the isolation caused by the rising mountains and the valleys formed by the new snow-fed rivers. While the Himalayas themselves served as a barrier to the geckos’ dispersal in the north, the researchers also speculate that their invasion further into the subcontinent may have been halted by the unfavourable alluvial nature of the Indo-Gangetic plain. Cyrtopodion too moved into the subcontinent following the collision of the plates. However, diversification within Cyrtopodion occurred more recently—about five to ten million years ago—in the drier parts of northwestern India. With the rise of the Himalayas, rainfall in the sub-continent became more seasonal, scanty and patchy in its distribution. The Indus Division, in what is now Pakistan and northwestern India, suffered the brunt of this change and became increasingly arid. While aridity was not good news for most plants and animals, it was fertile ground for the diversification of these dry-region geckos. This study has also added to our list of known geckos from India. “We have genetic evidence for twenty-four new species between these two studies”, says Agarwal. But the discovery of that many new species reveals how little we know about our biological wealth. “The biodiversity of the whole of India is obscenely underestimated”, he adds. Karanth agrees. “There has not been enough fieldwork”, he says. Karanth also believes that the underestimation of our biodiversity is because many species look almost identical even to the trained eyes of a taxonomist. Studies like these that combine rigorous field observations with molecular data are, therefore, crucial in obtaining a more accurate picture of the diversity of our plants and animals.